We open the season with one of today’s most vibrant and exciting young ensembles. 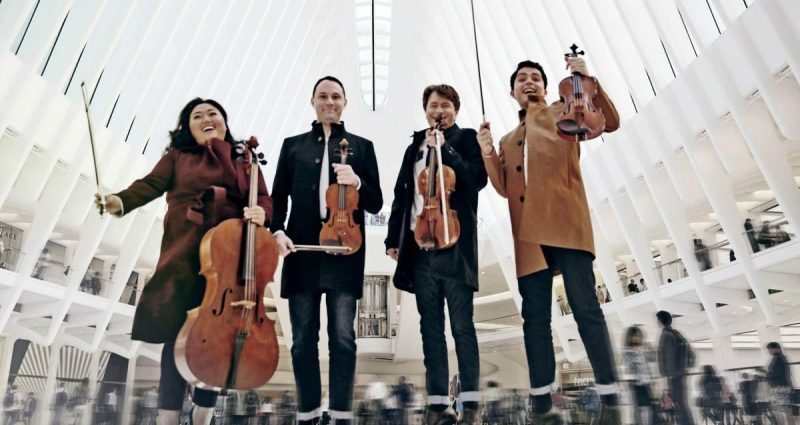 Fresh Avery Fisher Career grantees, the Calidore String Quartet have prepared a program that combines characterful classics with a centerpiece by Caroline Shaw. Shaw, whom the Washington Post recently called the most ‘idiomatic composer’ for string quartet since Bartók, composed Three Essays specially for the Calidore Quartet last year. Violist Masumi Per Rostad joins them for Mozart’s last major chamber music work, composed the year of his death. Sponsored by The Brunswick Hotel and Tavern.